I worked in a five-star hotel spa for over four years, so I can tell you that the majority of my clients were there to receive a pampering experience. Don’t get me wrong, today’s savvy spa consumer wants results, too—but this type of guest is also willing to think outside the box and opt for a non-traditional service to further connect with their getaway destination of choice. Of course, hotels and resorts all over the world are well aware of this, which is why service menus are tweaked to include indigenous ingredients and local area rituals and traditions to educate your mind and enlighten your spirit. Ahead, we present 10 spa treatments from around the world that will make you feel like a local in two hours or less. Photo courtesy of the Grand Hotel Tremezzo. Between the crystal clear blue waters and villa-studded landscape, being in the Lake Como area is a treat in itself. 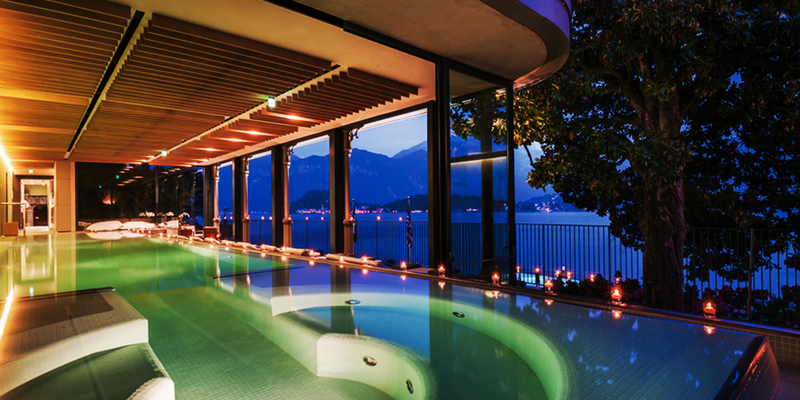 But if you’re looking for a way to make your visit even more serene, the newly renovated T Spa at the stunning Grand Hotel Tremezzo hotel definitely caters to anyone seeking a little R&R—and a taste of the good life. Photo courtesy of the St. Regis Bahia Beach Resort. Located at the foot of the El Yunque National Rainforest is the resort’s 10,000 square foot Remède Spa, a luxurious retreat that beckons guests to become one with nature. The Borinquen Coffee Polish ($170) treatment celebrates the fact that Puerto Rico is America’s leading coffee producer, harvesting 10-million pounds last year alone. The largest coffee and chocolate exhibition in the Caribbean takes place here in late September (26-27) to boot. Tying the two together, this indigenous polish awakens the skin and senses by incorporating coffee and cocoa butter to improve skin texture and increase circulation and skin firmness. The treatment is finished with a warm Vichy shower and an application of shea butter moisturizer to help repair cellular degeneration from time spent out on the beach. St. Regis Bahia Beach Resort, State Road 187 Kilometer 4.2 (Rio Grande, Puerto Rico); 787-809-8000. Photo courtesy of UXUA Casa Hotel and Spa. From the moment you step into the stunning spa on the UXUA grounds, you’ll immediately get what it’s all about: pure and utter serenity. But aside from the lush, natural landscape, the most impressive aspect is its commitment to offering services that celebrate the heritage of the Pataxó Indians, African slaves, Jesuit missionaries and 20th century hippies who’ve roamed the land. The area’s vast biodiversity is also a focal point, so ingredients like almescar resin—indigenous to only southern Bahia and the Amazon—are used for their restorative qualities. The White Clay Treatment ($350) stems from rituals performed by local tribes. To make the experience as authentic as possible, guests travel off-site via horseback or car to the red-colored cliffs of Taipe Beach, where they’ll cover themselves in a mineral-rich clay body scrub that’s been used for centuries as a natural form of stress relief therapy. 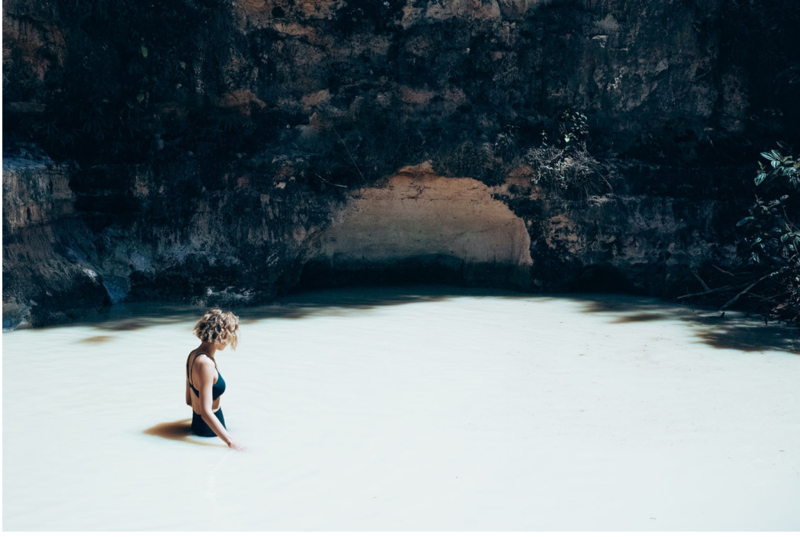 After basking in the sun with their body covered in white clay, a quick dip in the ocean washes it all away, leaving skin fresh and smooth to the touch. 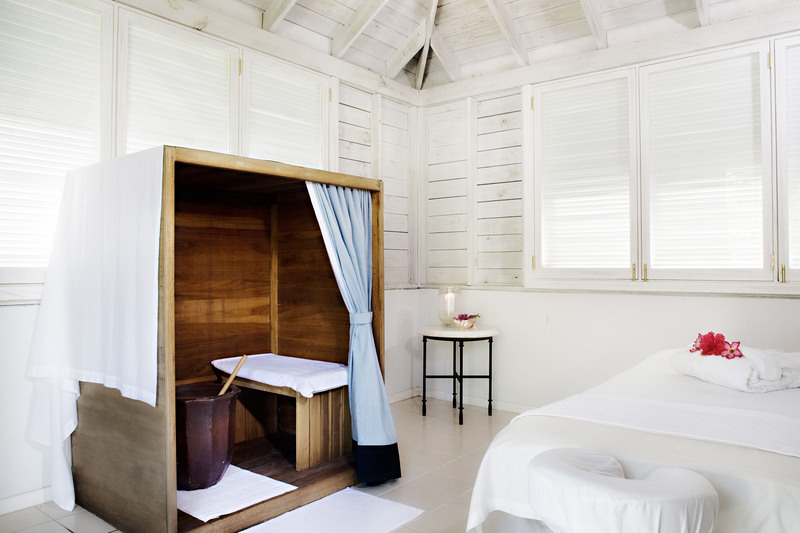 UXUA Casa Hotel and Spa (Quadrado Trancoso, Bahia Brazil); +55 73 3668 2277. Photo courtesy of Royal Mansour. 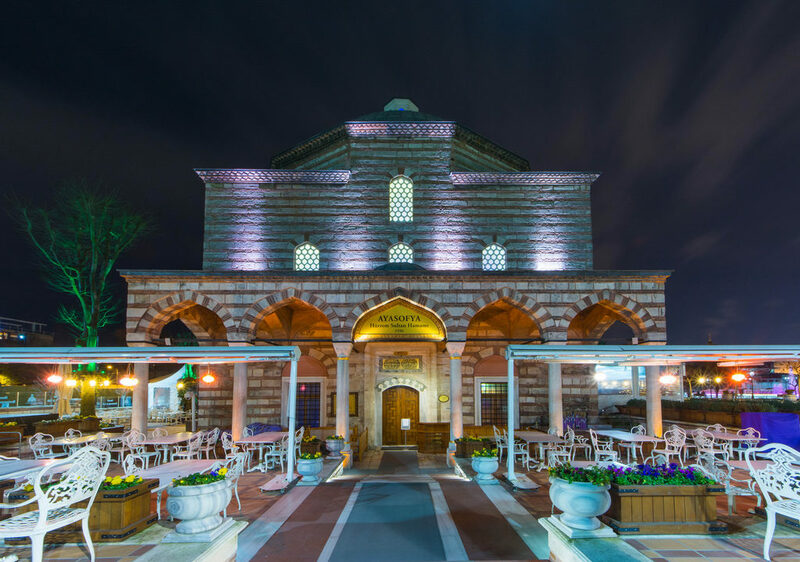 If a picture says a thousand words, then you’re probably ready to book a ticket to Marrakesh by now. 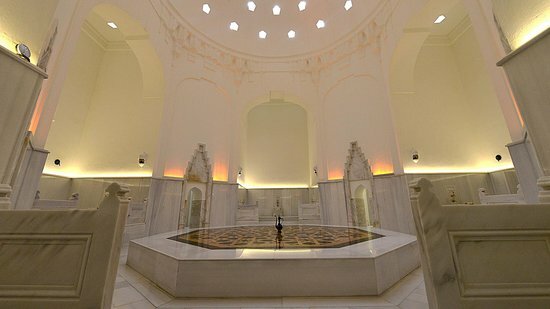 If your first thought was that the spa looks like a place fit for a king (or queen! ), then you’re right on target—the Royal Mansour is actually owned by the King of Morocco. 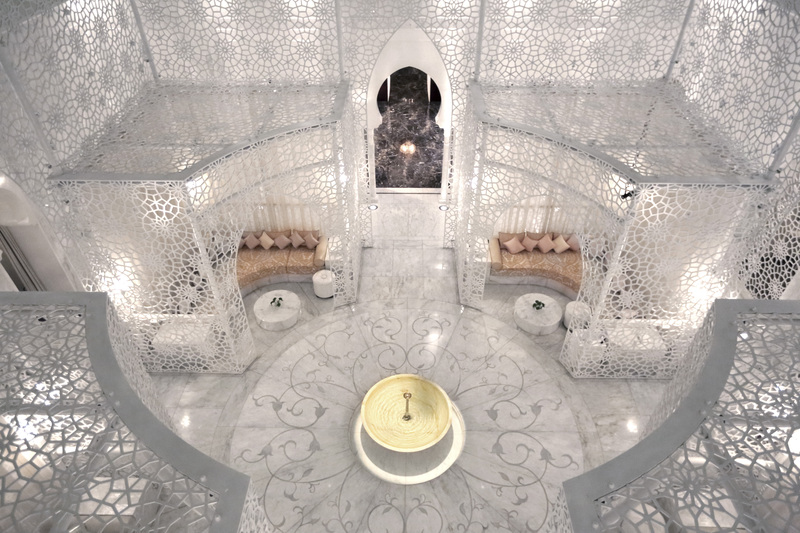 The Traditional Hammam Treatment (approximately $121) is a Royal Mansour (and Moroccan) specialty, so it’s perfect for anyone looking to have both a pampering and cultural experience. 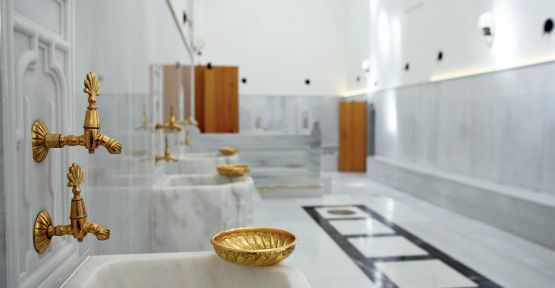 The service begins with massaging a soap of olive resin to cleanse the skin and ease tension. Next, a detoxifying mask is applied, and the body is exfoliated with the traditional kessa massage glove. At this point, the body is warmed up, so it’s time to take a plunge in the cold room, resulting in a feeling of complete renewal. 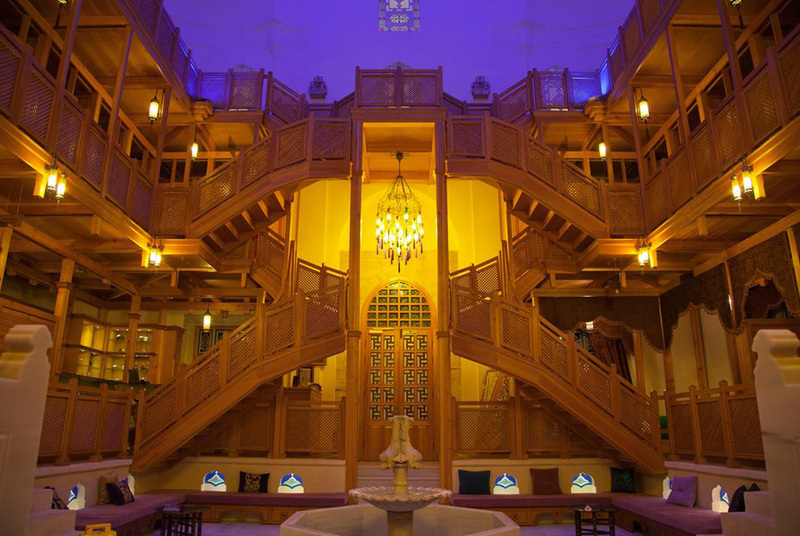 Royal Mansour Marrakech, Rue Abou Abbas El Sebti (Marrakech, Morocco); + 212 5 29 80 80 80. Photo courtesy of the Palms Turks and Caicos. From holistic therapies to ancient remedies, this luxury resort on the famed Grace Bay Beach is home to an award-winning 25,000 square-foot spa that boasts all of the bells and whistles a beauty and wellness-enthusiast could ask for. 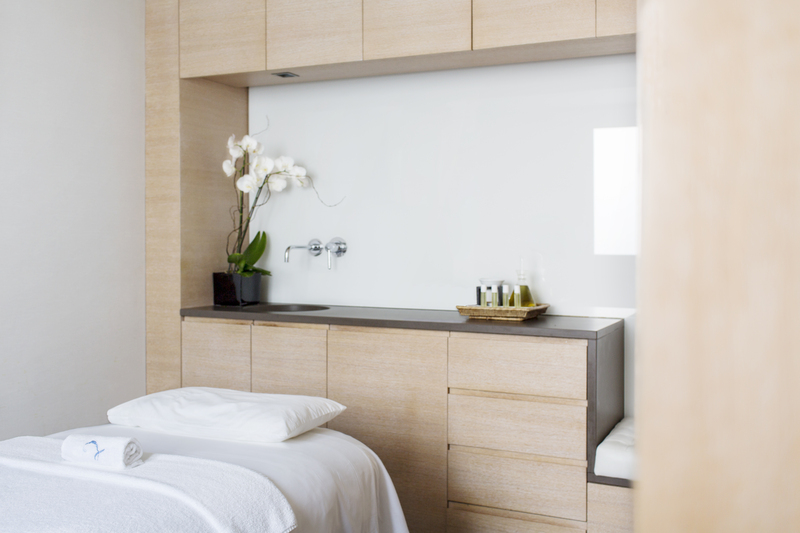 The Zareeba Treatment ($215) is one of many local-inspired services at The Palms—and it’s also a guest favorite. Zareeba literally means “protected enclosure,” so it’s no surprise that there’s a wrap involved. The experience begins with a full-body herbal cleansing and detoxification ritual using a Caribbean cure-all (dogwood, cerasee, rosemary, lemon, ginger, pimento, basil, eucalyptus, guaco bush, lemongrass, lignum vitae, pepper rod, and vervain) that’s been known to alleviate rashes, colds, fever, muscle pains, and nausea. Therapeutic herbs are inhaled with the help of steam before receiving a cooling wrap and a body massage to release toxins. Steep 4-6 of your favorite herbal tea bags in your bath and squeeze in 1 full lemon. The Palms Turks and Caicos, Grace Bay Beach, Princess Drive, Providenciales TKCA 1ZZ (Turks and Caicos Islands); 1-866-877-7256. Photo courtesy of the Majestic Hotel Barcelona. This sleek spa is a favorite of the international jet set—and with good reason. It’s a five-star respite in the heart of bustling Barcelona, complete with a list of top-notch services to match. The Ritual Xocoa Delicatessen (approximately $177) is one of those services. The detoxifying (and calorie-free) massage pays homage to Spain’s part in the culinary history of chocolate, which dates all the way back to the 16th century—long before it was in the clutches of the Italians or the French. Along with receiving an extreme hydration boost, added benefits include the reduction of tension, stress and fatigue. Majestic Hotel Barcelona, Passeig de Gràcia 68-70 (Barcelona, Spain); +34 93 488 17 17. Photo courtesy of Twin Farms. Forget what you think about Old McDonald. This is literally a five-star luxury farm experience spread out over 300 acres of beautiful landscape. The only laboring you have to worry on this farm is figuring out which spa services to receive. The Honey Bliss Treatment ($230-$270) starts with a full-body exfoliation using a results-driven sugar scrub made with citrus essential oils and local honey to soften and renew the skin. After relaxing with a warm hydrating body masque and wrap, the massage therapist will execute a relaxing massage with shea butter for an added hydration boost. Add a facial enhancement for an additional $30. Twin Farms, 452 Royalton Turnpike (Barnard, Vermont); 802-234-9999. Photo courtesy of The Lodge at Glendorn. This opulent-yet-intimate hideaway—a Relais & Chateaux property—is situated on 1,500 beautiful acres of land in Bradford, Pennsylvania. The lodge was originally a family vacation home owned by the Dorn family from 1927 to 1995. It was up for auction in 2009, but a man by the name of Cliff Forrest stepped in and restored the property to its glorious state. 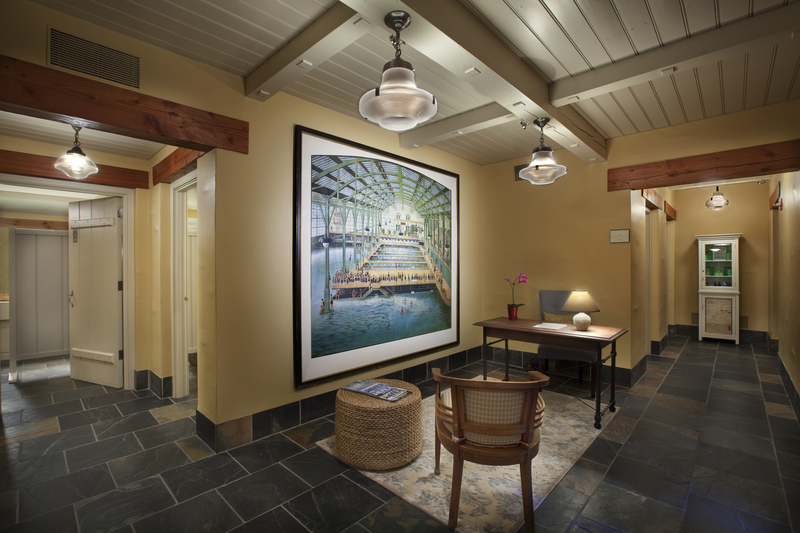 While a bevvy of outdoor activities are within close reach, the lodge debuted an intimate spa in 2014 for those seeking a little indoor R&R. The Fuller Brook Wild Crafted Wellness Experience ($135 to-go, $250 to have the product applied at the spa during your treatment) gives guests the unique opportunity to work with the “spa chef” to forage ingredients from throughout the property to create everything your very own product, such as a lavender scrub with lemon balm and rose water. The entire process, sans treatment, takes about an hour. The Lodge at Glendorn, 1000 Glendorn Drive (Bradford, Pennsylvania); 814-362-6511. 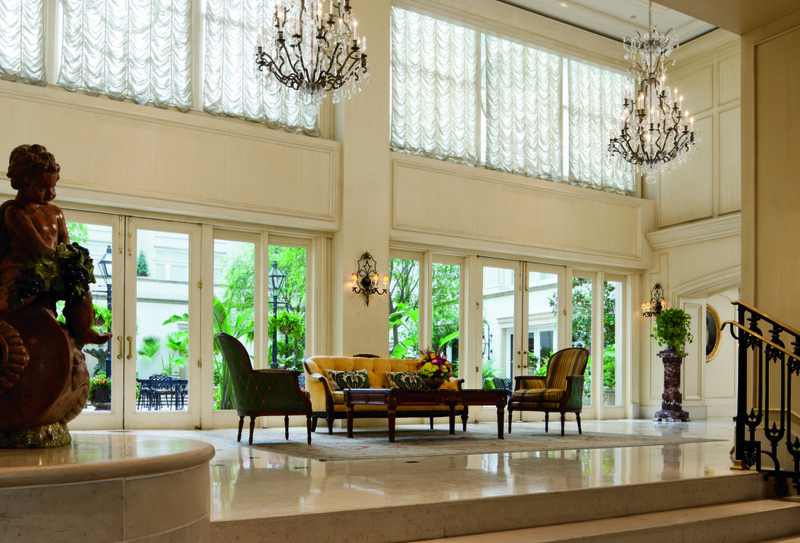 Photo courtesy of the Ritz-Carlton New Orleans. It doesn’t have to be Mardi Gras for New Orleans to be pulsating with energy. And after a day of eating, sipping on hurricanes, and listening to jazz throughout the streets of the French Quarter, pop into this award-winning spa for a service with a unique take on the history of the Big Easy. The Voodoo Massage ($150-$220) The soul of New Orleans is magical and mystical, and this massage — using oil with notes of absinthe, bourbon, cypress, moss, and vetiver — will put you under a spell of complete relaxation. Incense permeates the room, and voodoo chants set the ambiance like no other therapy you’ve ever experienced. The Ritz-Carlton New Orleans, 921 Canal Street (New Orleans, Louisiana); 504-524-1331. 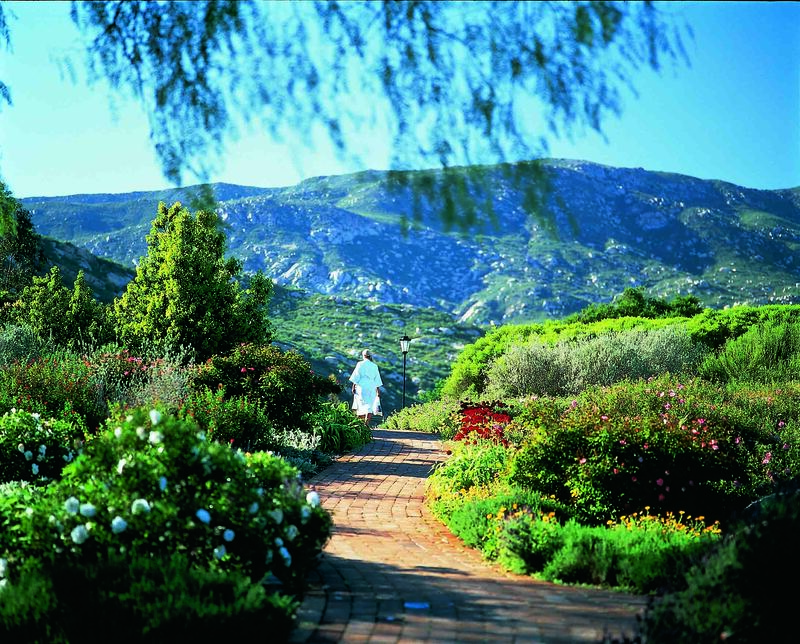 Photo courtesy of Rancho La Pureta. 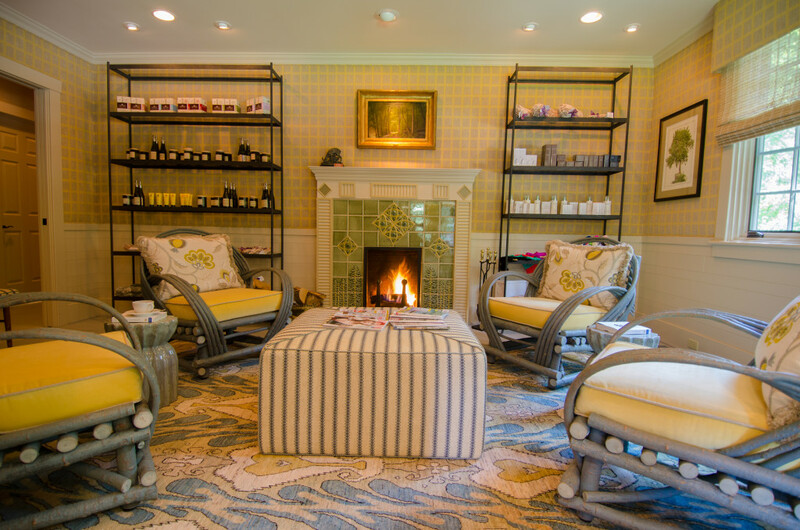 When contemplating your next destination spa getaway, keep this in mind: Rancho La Puerta was named the number-one destination spa in the World by Travel + Leisure’s 2014 World’s Best Awards—and the three years before that. The 3,000-acre property is the original “fitness resort,” so guests can expect a wide array of activities to suit all interests and levels of athleticism. Of course, the resort isn’t all work and no play. The spa makes it a priority to guide guests through a series of cleansing, relaxing, energizing, and restorative treatments throughout their stay. The RLP Herbal Wrap ($50) incorporates indigenous ingredients (California sagebrush, powis castle, rosemary, white sage, and eucalyptus) that were harvested right before treatment. The cocoon-like treatment warms, cleanses, moisturizes, and nourishes the skin, while steaming hot linens steeped in traditional, local Native American herbs wrap the body in aromatic bliss. Rancho La Puerta, Carretera Tecate-Tijuana Kilometer 136.5 (Tecate, Mexico); 800-443-7565.